Real Estate experts at the national level are asking the question: Is the Detroit Housing market on the brink of a crisis? 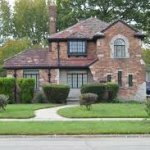 According to Forbes Magazine, the number of homes underwater in the city of Detroit has increased 1.6 percent over the last year to 4,963 homes. Some at the national level raised the question: Is this the start of a new trend? Local real estate insiders say they are not worried. “Even over the last 30 days there has been an incline in value, a decline in days on market and inventory has gone down,” said Larry Else, of Downtown Realty.